Of The Holly Presbyterian Church. Rev. 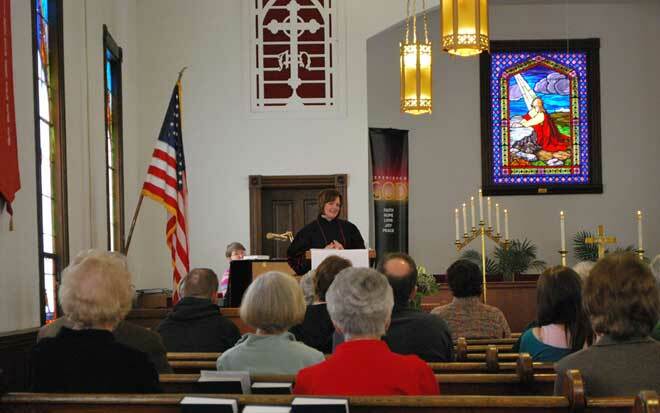 Dr. Sharlyn DeHaven Gates led worship for the first time as the new pastor of the Holly Presbyterian Church on Sunday, March 6. There was a Children’s Message and the Sacrament of Holy Communion was served. After Worship, Rev. Gates, her husband, Rev. Fred Gates, and the members of the congregation enjoyed a potluck dinner -- with good food and conversation -- in Fellowship Hall.